A) Forged overprints – Research overprints on stamps, if a stamp has never been known to have been issued with an overprint, chances are that it’s a fake. If an overprint was issued, compare with other originals, look for discrepancies in the markings, or a design which seems painted in. B) Re-perforations – A faked stamp may have had perforations cut off or cut into it to change its appearance and value, watch out for what the size of the stamp should be, is it smaller? Do the perforations come together at the corners, the way they generally do in an original? Original perforations often have little tufts of paper remaining near the holes. C) Re-gumming – Examine that the gum is the correct colour and texture, this may require comparing the stamp to a known original. Also, does the stamp curl when placed face down in the palm of your hand? This may indicate re-gumming, since most original gummed stamps have fine scoring lines on the back to prevent curling. Is a watermark clearly visible? If a stamp has the original gum, a watermark can only be seen using watermark fluid, if it’s very visible on its own, the stamp is likely a fake. Lastly, genuine gum is usually applied before perforation, so if the gum flows into the perforations, it could be a fake. Do the tips feel soft? A stamp which is re-gummed generally has sharp tips, although a meticulous person may file down the perforations to make them soft. D) Repairs – Watch out for these, use a magnifying glass or get the use of a professional scanning machine, repairs may have been done by a well-intentioned individual, but in many cases this reduces the value of a rare stamp. A cancel may have been applied to hide the repair. Obviously, knowledge is your best weapon. 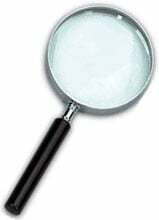 As well, a magnifying glass, perforation gauge, and good catalogue can help. In more difficult cases and for high value stamps, perhaps getting the stamp evaluated and certified by a professional is best. The Vincent Graves Greene Philatelic Research Foundation is Canada’s premier BNA Expertizing Service. Don’t be too discouraged though, some people make a hobby out of collecting fakes! It certainly adds another dimension to the hobby!